How to overcome streaks caused by weight gain or pregnancy? As a result of weight gain or after pregnancy, distended tissues can form more or less deep streaks called stretch marks. Photomodulation offers impressive results to effectively reduce these scars. As Professor Sylvie Boisnic shows in the following video, LED treatment offers visible results even on white stretch marks. How does the anti-stretch mark led treatment work? LED treatment is part of phototherapy or photomodulation. Thanks to a reaction close to the photosynthesis of plants, the skin will simply regenerate itself in response to the application of a light source. In concrete terms, it is a matter of applying coloured light to the skin. The process is completely painless and without risk of side effects. Depending on the wavelength of the light, it will penetrate the different layers of the skin and induce different reactions. Blue is antibacterial, red is anti-inflammatory, and of all the lamps, infrared is the one that penetrates most deeply into the epidermis offering a deep tissue regeneration. Which color to treat stretch marks with LED photomodulation? To treat stretch marks, first the red colour is used, followed by yellow or green to treat the skin surface. To amplify the effect of the other colours, infrared radiation close to red but invisible is used, which penetrates very deeply into the skin. The results of the LED photobiomodulation treatment are visible from the first session. It is a technique adapted for stretch marks on different stages and on all areas. Session after session, the results are remarkable. The skin regains its elasticity and firmness and stretch marks disappear forever. Professor Sylvie Boisnic, with an LED photomodulation device emitting 600 to 650 nm, with 15 sessions of 20 minutes, found a 50% improvement in depth in 80% of patients. The results were the same with 5 sessions of 40 minutes each. 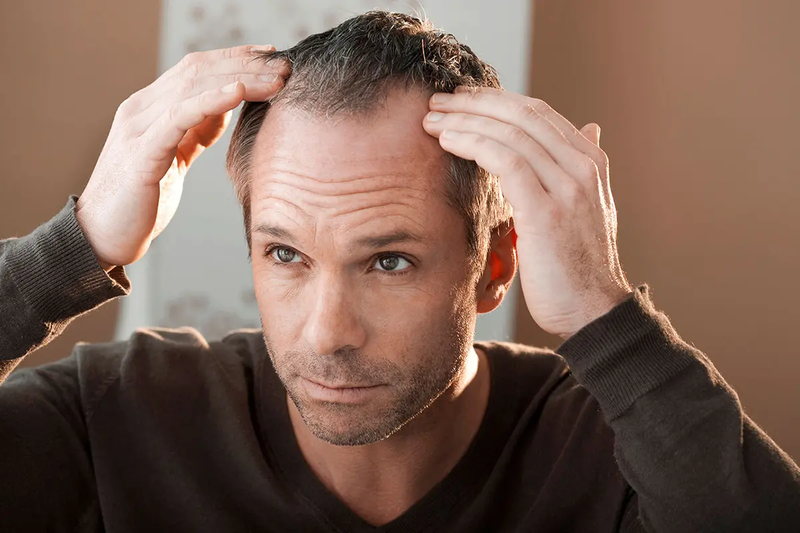 Photomodulation: as effective in case of hair loss?